When a group of women artists put on gorilla masks in 1985 to protest gender and racial inequalities in the art world, the Guerilla Girls launched a major effort to open museums and galleries to women and artists of color. 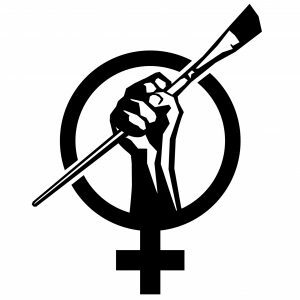 Nearly 35 years later, the campaign to recognize female artists continues in a worldwide event known as Art + Feminism Wikipedia Edit-a-thon, including hosted activities on April 1 at UConn in Storrs and Hartford. The Art + Feminism logo. Art + Feminism Wikipedia Edit-a-thon is designed to improve coverage of gender, feminism, and the arts on Wikipedia, which is among the top five websites online, according to several lists compiled by sites including Lifewire, webhostface.com, and @Alexa. According to a 2019 National Endowment for the Arts study published in the journal Public Library of Science, 87 percent of artist exhibits in museums are of works by white men. A fact sheet from the National Museum of Women in the Arts notes that out of 318 artists included in the ninth edition of the major art survey textbook Basic History of Western Art by H.W. Janson, only 27 are women. The primary goal of the Edit-a-thon is both to create entries on Wikipedia for diverse female artists and to update and expand existing female artist entries, according to Kelly Dennis, professor of art history in the School of Fine Arts, who organized a wider event this year at UConn after participating in the effort for the past three years. As one of their assignments in the History of Photography class Dennis is teaching this spring, students are working on creating entries for four women artists that they will post as part of Edit-a-thon: Winifred Hall Allen, a photographer who chronicled African American life during the Great Depression and Harlem Renaissance; Deborah Bright, an internationally known photographer and writer on queer politics; Deborah Dancy, a multi-media abstract artist and UConn professor emerita of painting; and Gretchen Garner, a landscape photographer and art historian who served as head of UConn’s Department of Art & Art History during the 1990s. The students conducting research about the artists and writing the new Wikipedia entries recognize the unique opportunity they are experiencing. Dennis says expanding UConn’s participation in Edit-a-thon from primarily students in art history classes to a larger event at two campus locations was made possible through the work of a planning committee of faculty and staff. Members of the group include Alexis Boylan, associate professor of art history and director of academic affairs in the Humanities Institute; Clarissa Ceglio, assistant professor of digital media and design; Anne D’Alleva, dean of the School of Fine Arts; Amanda Douberley, assistant curator in the William Benton Museum of Art; Heather Elliott-Famularo, head of digital media and design; Sara Harrington, associate librarian for academic engagement; and Anne Langley, dean of the UConn Libraries. 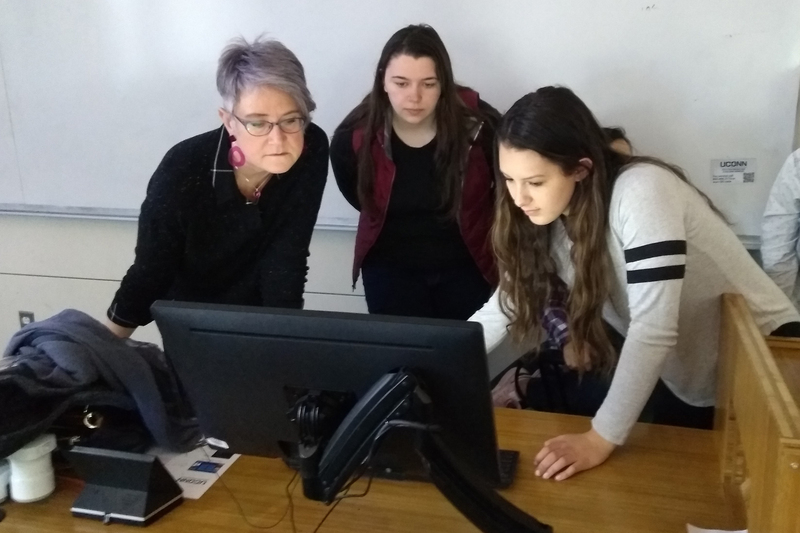 Dancy, an award-winning artist whose work has been exhibited throughout the United States, describes the work of the Edit-a-thon as “an amazing and valuable contribution” by Dennis and her students.